An all-in-one retail point-of-sale solution that’s GST ready for Indian retailers. Manage your sales, inventory, loyalty, staff, GST and more with Hike POS! Recent legislation in India passed the Goods & Services Tax (GST) bill, the indirect taxation regime previously in place, and has been replaced by a more simplified version that will lay the foundations for a stronger Indian economy. Cascading taxes such as entertainment tax have been removed, and retailers will now have to adjust how they generate their billing and reporting. As a robust point-of-sale solution that’s designed to help manage all operations of a business, Hike POS is perfect for retailers looking for a system that is GST compliant. Providing a ready to go GST invoice template, will allay any teething problems that can come from this change. Simply configure your company’s GST details, and print out the correct tax invoices for your customers. With GST being a new introduction, the importance of getting it right from the start is critical. With Hike POS, enjoy the convenience of a powerful system that gives retailers fast and accurate calculations of the levied taxable amounts of GST for your customers. Not only does this save you valuable time and money, it also helps your accountant ensure the balance sheets are meticulous. Hike POS will keep track of all your GST payments and invoices with custom reports. With all sales channels and retail data available from the one platform, gain the transparency you always wanted with Hike’s intelligent business analytics. Use our central dashboard to review sales, customer profiles or overall business performances. Make better, more informed decisions with our retail POS software. Hike has partnered with leading accounting platforms, including QuickBooks Online & Xero meaning that you’re GST-ready POS can easily import all your accounting and customer data. Hike will automatically sync real-time information on your store’s daily sales, payment totals, customer details and more with our integration capabilities. Hike is available anywhere, anytime on all your devices. Sell using your PC, Mac or iPad, whether you’re online or offline. 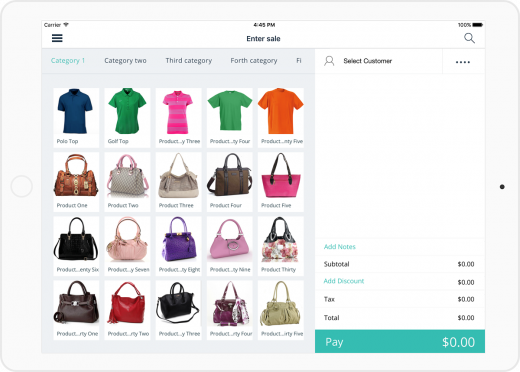 Hike is a cloud-based point of sale system that works on all sales channels. Manage your store with Hike’s easy-to-use platform. Your retailing continues even when you’re offline. Hike POS lets you sell even when you lose internet connection. Perfect for on-the-go sales! Take control of your inventory with full or partial inventory counts that lets you sort your stock the way you want, between multiple store locations. Choose how to accept payments including credit, debit and gift cards. Hike has partnered with leading merchant providers worldwide. Hike’s tailored loyalty program, enhances your customer engagement. Hike loyalty offers loyalty points on all sales made online and offline.